Opening an on-campus psychological training and community clinic has long been a dream at the Michigan School of Psychology (MSP). With the purchase of the property next door we can now realize our dream of providing first-rate training for our students and affordable mental health care to the community. Our vision of healthy people, healthy relationships, and healthy communities starts with us. Through the MSP clinic we are committed to providing psychological services to individuals and families who are unable to access quality, affordable mental health care. While most individuals now have access to health insurance, many can’t afford the high deductibles and co-pays required by their health care plans. And many of these plans do not provide coverage for psychological and educational testing that can cost hundreds, even thousands, of dollars. Our excellent masters and doctoral students can fill that gap. Under the supervision of faculty who are licensed psychologists, MSP students will provide individual and group therapy for individuals, couples, families, adolescents and children. Testing and assessment also will be offered, including personality and IQ testing, and assessments for ADHD, learning disabilities and more. You probably know of children who are falling behind academically while waiting to be tested within their local school systems. You can help by donating to MSP’s #TestKitTuesday. Your donation will go directly to the purchase of costly tests needed to provide these services. Click on one of the questions below to see the answer. When will the clinic open? The MSP clinic will open in Fall 2019. Where will the clinic be located? The MSP clinic will open in the Woodlands Office Center, located at 26105 Orchard Lake Road, Suite 213, at the corner of 11 Mile – less than a quarter of a mile from the school. The clinic will be relocated in our newly-acquired property once renovation is complete. Located right next store to our current facility, the renovated building will house the clinic, a space for psychology related events and meetings, and additional meeting rooms for faculty and students. Who will staff the clinic? A full-time clinic director will be responsible for clinic administration. Masters and doctoral-level students in clinical training will provide clinical services under the direct supervision of faculty who are fully licensed psychologists. Who will the clinic serve? The clinic will provide mental health services to children, adults, individuals, couples, and families without insurance or with unaffordable deductibles and copays. Promotion of the clinic will extend throughout southeast Michigan and will not be limited to Oakland County. What services will be available? Services will include psychological evaluations, testing and assessment, psychotherapy, and play therapy with children. The clinic will offer a sliding fee scale based on ability to pay. Why are you raising funds for testing materials now? MSP will own the clinic, but it will operate separately from the school. Our goal is to acquire the resources necessary to open and maintain the clinic without raising student tuition. Fundraising for test kit materials is a good place to start. What sort testing referrals will the clinic address? The clinic will provide assessment and treatment for child and adult mental health concerns, such as depression, anxiety, and PTSD. Psychological evaluations for issues such as autism spectrum disorders, ADHD, and learning & developmental disabilities will also be offered. What tests are you planning to purchase? 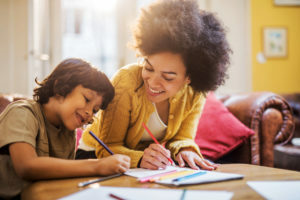 A variety of the most commonly used psychological tests will be purchased, including: TAT, WAIS-IV, WISC-V, WIAT-III, MMPI-2-RF, Behavior Assessment System for Children (BASC-3), Gray Oral Reading Tests (GORT-5), Comprehensive Trail-Making Test (CTMT), and Conners Continuous Performance Test. Can I specify which tests I would like my donation to buy? Not at this time. The clinic director, MSP Director of Clinical Training, and faculty who teach psychological assessment and testing will determine which tests to purchase. Will you publish a list of tests that MSP will be purchasing for the clinic? A breakdown of testing materials purchased from #TestKitTuesday funds will be published on MSP’s website. Could my donation be used for something other than test kits? All donations collected during our #TestKitTuesday campaign, which runs from November 13 through November 30, will be held in a separate fund specifically designated for testing materials. Surplus funds will be used for ongoing testing expenses, such as test protocols and electronic scoring tools. Can I donate used testing kits to MSP? At this time we are not accepting used psychological test kits for the clinic. Who will own the tests? The tests will be the property of the MSP clinic. MSP is a 501C(3) non-profit, independent institution, of higher education and does not receive state or federal funding. Academic programs, scholarships and operations are funded entirely through student tuition and private support from individuals, corporations and foundations. Your donation is tax deductible to the extent allowed by law.